Initially, our plan to move to the Bottom of the Bay included residency here primarily in the spring and fall, with long stays aboard our Bristol 41.1, Skylark, in Maine during the summer and somewhere warmer in the winter. 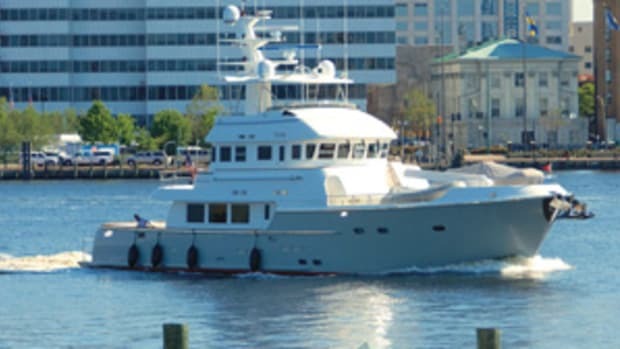 The financial collapse of 2008 eliminated that as a retirement plan and set me on my current career as a year-round yacht broker and resident of Portsmouth, Virginia, with just a short jaunt back to Maine in the summer. Virginia’s mild winters, by New England standards, are fine; it’s the stretches of hot, still and humid weather in July and August that get to me. Summer 2015 was quite pleasant, but 2016 was a scorcher. 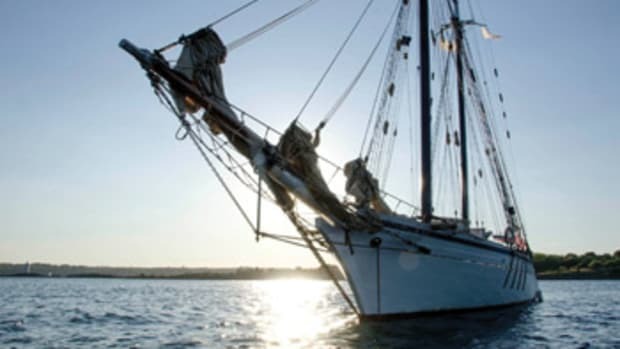 We had long spells when being on the water provided little relief unless we could take an air-conditioned saloon with us, an act that seems contradictory to the en plein air aspect of boating. As I write this, the weather pattern is beginning to break, and none too soon. In an effort to act like a real journalist occasionally, I am pleased to offer a follow-up report on some actual news discussed here a few months ago: ethanol and marine fuel. 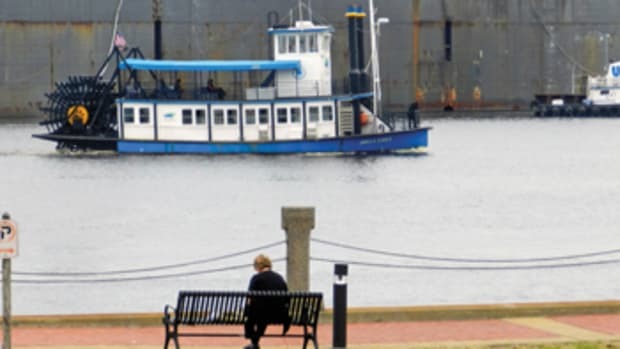 Virginia’s legislature and governor have enacted a law to request a waiver from the federal Environmental Protection Agency to allow the sale of non-ethanol gas at marinas throughout the state. Non-ethanol gas is currently available in many areas that meet certain air quality standards. Now it is up to the EPA to make it available everywhere in Virginia for off-road use. In North Carolina, “no-E” is the standard on the water, and it’s available in many filling stations for on-road use, as well. North Carolina may be a little tangled up about which head to use, but it is quite clear in the marine fuel department. Here in Portsmouth, we got some great news regarding a higher use for corn. 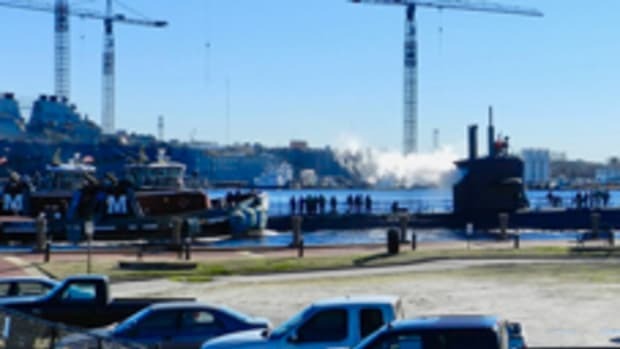 Despite our city council’s best efforts to scare people away from living here, there is an economic revitalization occurring in Olde Towne Portsmouth. Four new upscale apartment buildings are now leasing in downtown, and long-shuttered storefronts are coming alive again. The news included a craft distillery and tasting room coming to High Street, just blocks from the city docks and downtown marinas. One of its first products will be moonshine. I see it as a riff on Isaiah 2:4 (the swords into plowshares thing): Turn thy evil fuel additive into alcohol for sailors. From my perch at Mile Zero, I witness many flags of convenience, whereby a vessel is registered in a country different from that of its owners to avoid inconvenient burdens, such as regulations regarding crew treatment or taxes. It is a rare large commercial vessel that passes my window with a U.S. flag — so rare that I don’t remember even one. 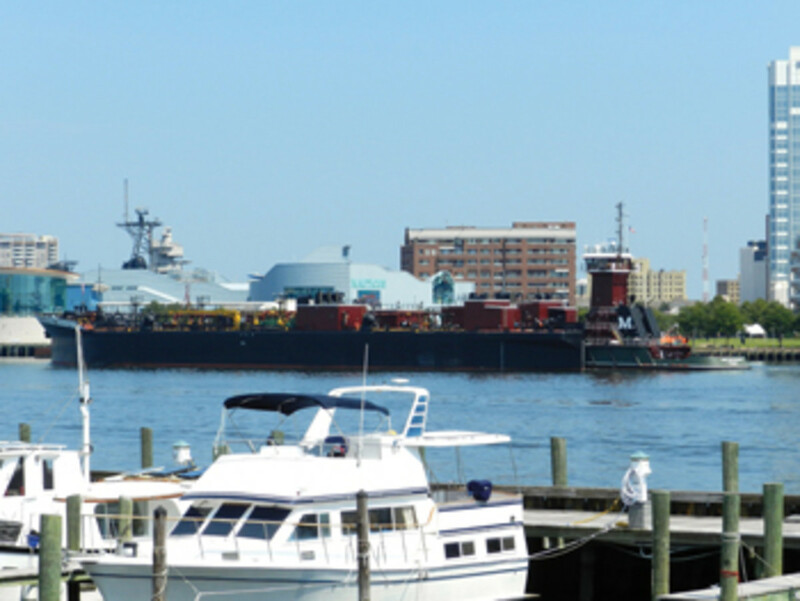 Across the river in Norfolk is SKAT, a 232-foot Lürssen owned by Microsoft billionaire Charles Simonyi. She is registered in the Cayman Islands, a popular flag for superyachts. 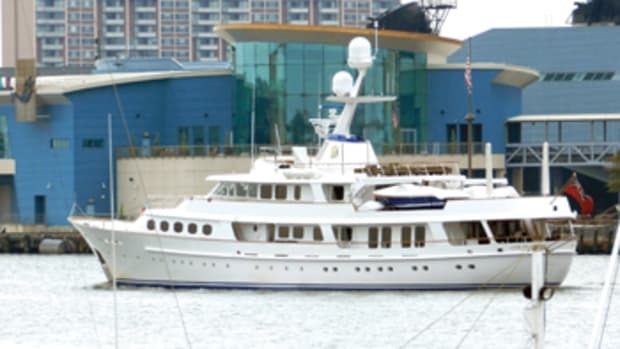 In the United States, several states — Delaware, Rhode Island and New Hampshire come to mind — offer yacht owners shelter from state sales taxes. 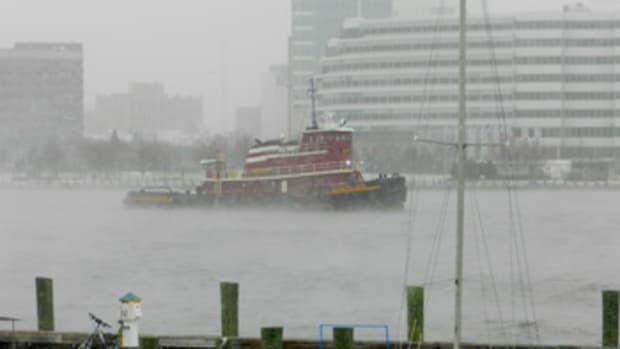 And at a more local level here in Hampton Roads, flag-of-convenience locales are cities with no personal property tax on boats, currently Hampton and Virginia Beach. 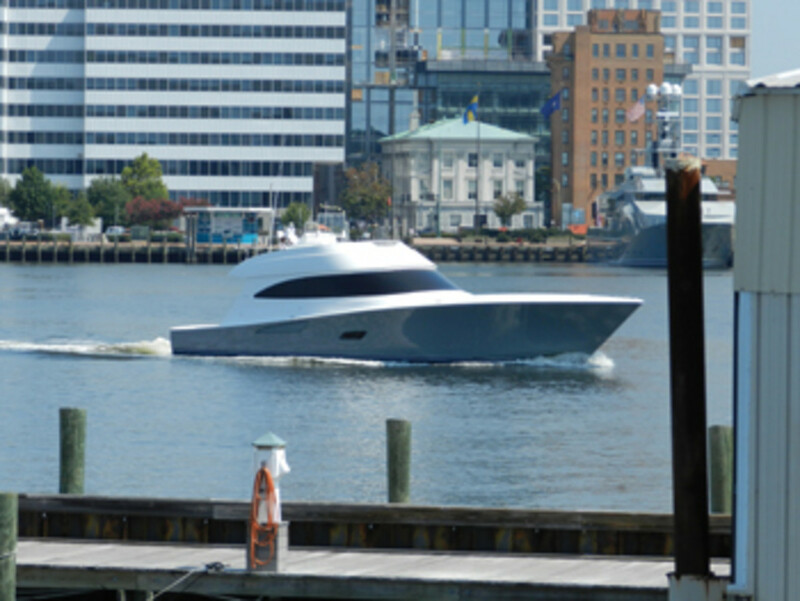 This attracts boats to home-port in those cities, which in turn favors their marine businesses, particularly in high-end yachts. 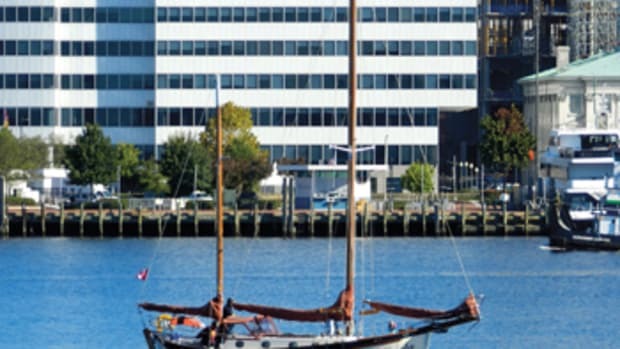 In Portsmouth, there is a tax, and any talk about eliminating it stirs up a hornet’s nest of posturing between different economic strata, regardless of what the greater economic benefit might be to the city’s marinas, boatyards and service providers. Maine had similar intermunicipality squabbling and competition but dealt with it by imposing a statewide excise tax on boats and eliminating the local personal property tax. I believe recreational vehicles are handled the same way. How ’bout looking at that, Virginia? 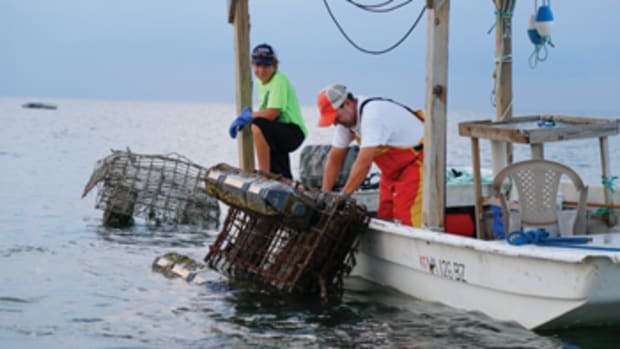 Our daily newspaper, The Virginian-Pilot, reports that the state’s Marine Resources Commission has gotten serious about poaching, handing down the maximum penalty to a Hampton waterman: a $10,000 fine and revocation of his licenses for five years. The waterman had been cited with more than 10 violations this year alone, and the final one — collecting, shucking and selling oysters from a polluted area — pushed the commission to invoke the maximum penalty. He was also fishing while his license was revoked. The fisherman didn’t attend his hearing and could not be located by the sleuths at the paper. He’s probably out fishing. When I grew up in Maine, the native oyster population had all but disappeared, so it wasn’t until I spent some time in the Mid-Atlantic that I was introduced to the oyster shooter, a cocktail that can contain a variety of liquors and other ingredients with the common note of a raw oyster at the bottom. A quick internet search generates all manner of recipes and images, so I guess there are no classic concoctions anymore. Sounds like a good theme for a local festival. OK, Portsmouth, let’s get behind that new distillery on High Street and put ourselves on the map. I’ll work on the vegan version: the tofu-seaweed shooter. Fishing with my dad is one of my earliest memories, and the activity was always a focal point of our family life. Currently, I have eschewed animal protein of any kind for health reasons, but I still keep a rod handy in my office, an act that must hideously violate some basic commandment of the Vegan Cult. My dilemma reminds me of a dog we had neutered because he often wandered off in search of female companionship. After the vet finished his work, my mother asked if the surgery would keep the dog closer to home. The vet replied that it might curtail his needs but not necessarily his habits. That is how I look at fishing these days. If October brings you to Portsmouth on your southbound migration, stop in and say hello. Maybe we’ll go for an oyster shooter at the local distillery if it has opened. It’s never dull at Mile Zero. See you at the bottom of the Bay, the top of the Ditch.